The Mid-Term Elections this year carry more weight than any non-presidential election in recent memory. The results of the election could have a huge impact on everything from taxes to healthcare. Of course there are many variables to consider and the situation is extraordinarily complex. So, instead of looking at the big picture, I’m going to focus on just one sector, the financials. So far, we’re mostly talking about neutral to positive effects on the financial sector. On the negative side of the ledger, a major conflict between Congress and the executive branch could introduce enough uncertainty into the financial markets to cause a selloff. That’s highly subjective of course – perhaps investors will feel more secure with a Congress that keeps the executive branch in check. What’s all of this mean for financials? 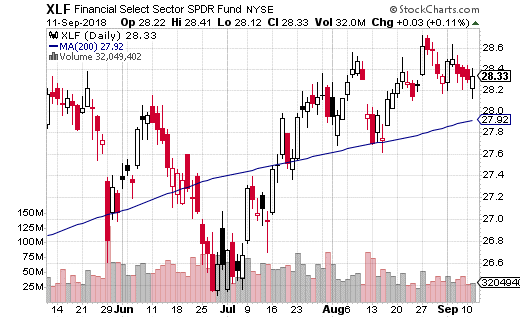 Let’s take a look at options action in SPDR Financial Select Sector ETF (NYSE: XLF) and see what comes to light. One interesting trade I saw recently – given all the above analysis – was a fairly large covered call trade in XLF. A strategist sold 3,000 of the November 16th calls for $0.90 against 300,000 long shares of XLF at $28.25. This can be construed as a neutral, income-generating position, but it’s also defensive as well. Why trade a covered call with no growth potential? First, by doing an ATM (or ITM) covered call, the credit on the short call is much higher than it would be for an OTM option. In fact, a roughly 3% yield (in roughly 2 months’ time) on a $28 ETF (that doesn’t move much) isn’t bad at all. More importantly, that $0.90 credit serves as downside protection on the long shares. This trade protects XLF down to $27.10. Also don’t forget, if XLF moves higher the trader still keeps the $0.65 in profits after the shares get called away. With the elections coming up, XLF probably isn’t going to go too much higher. And, with the downside protection from the short call, this is looking like a savvy way to make a little extra money on the financial sector while we await November results. My trades with Tim Plaehn of 30 Day Dividends have been on fire this year. We're finding the most boring, beaten down sectors and pulling down massive returns from them using the Disruptive Dividends options trading strategy. And for one night only we're opening up training on this strategy for you. Join us on Wednesday, September 26th for a live interactive training on how you can bring home these same gains. 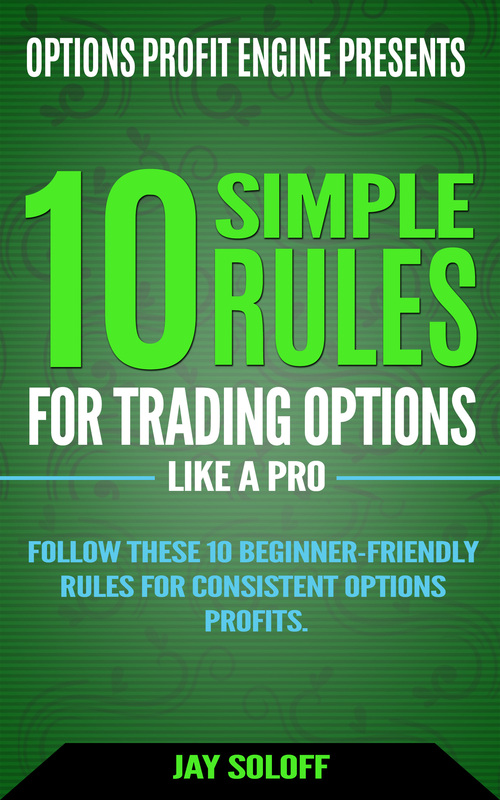 You'll also get our 4 newest trades that you can place the very next morning. This is not sales video. This is a live training session to show you the power of the Disruptive Dividends options strategy. Registration is free: CLICK HERE.